loving. living. small. 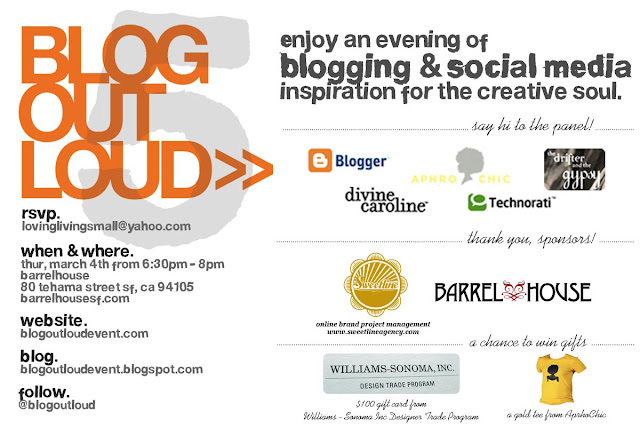 | live small with style: blog out loud 5 is tonight!! Check out the BOL blog tomorrow for photos and recaps from tonight's event! 0 Responses to "blog out loud 5 is tonight!!"